Works up to approximately 8 hours on full battery of 12 Volt. Completely manufactured in stainless steel ( RVS). Flow rate: 3.78 ltr/min at 5 bar. 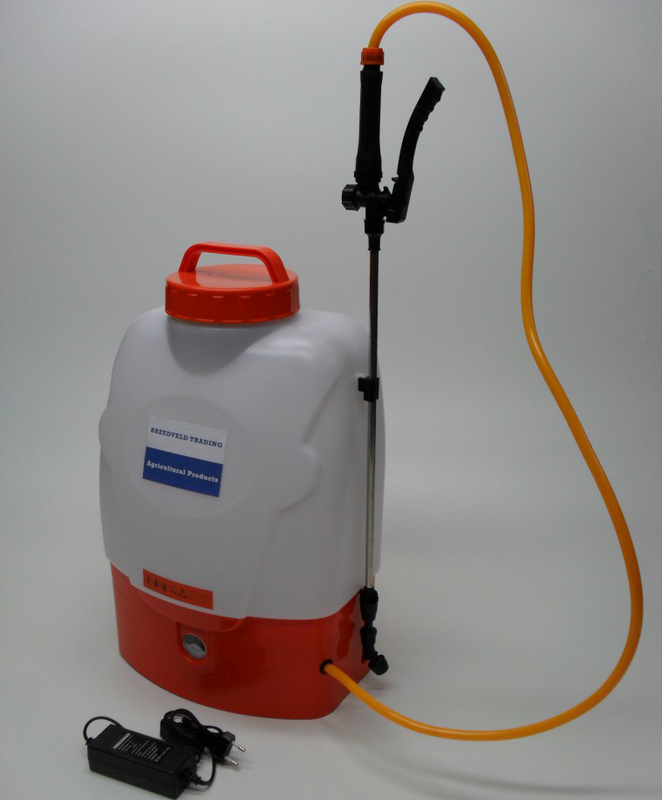 Excellent comfort wearing backsprayer with battery for disinfect and herbicide. Rang full battery +/- 1,5 hours. Flow rate 1,2-1,8 ltr/min (Depends off nozzle). Extendable lance 50 – 90 cm.